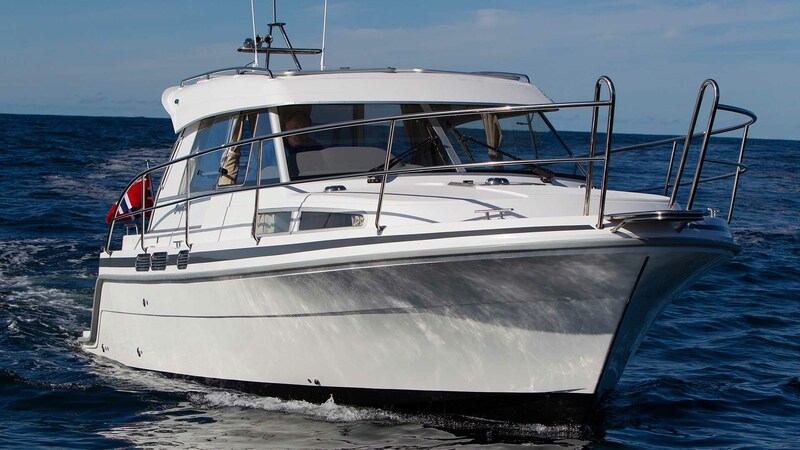 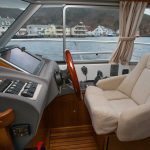 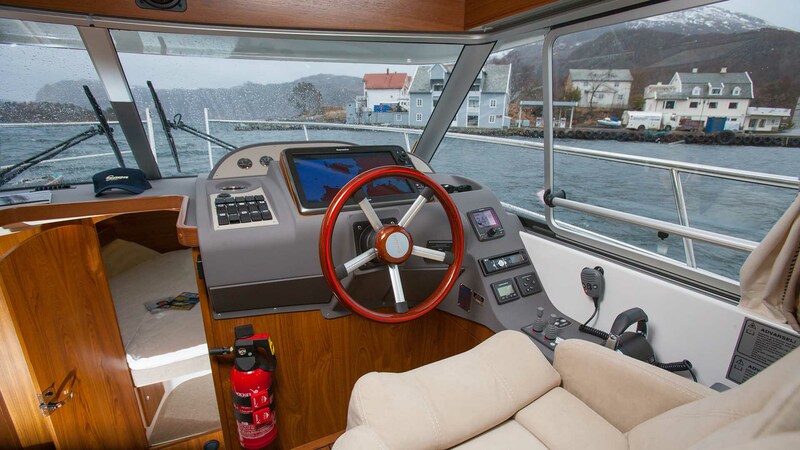 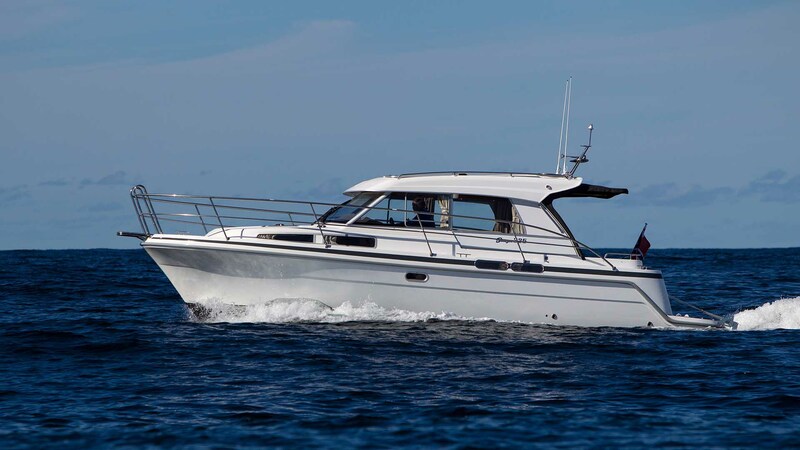 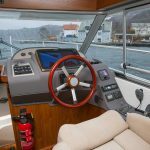 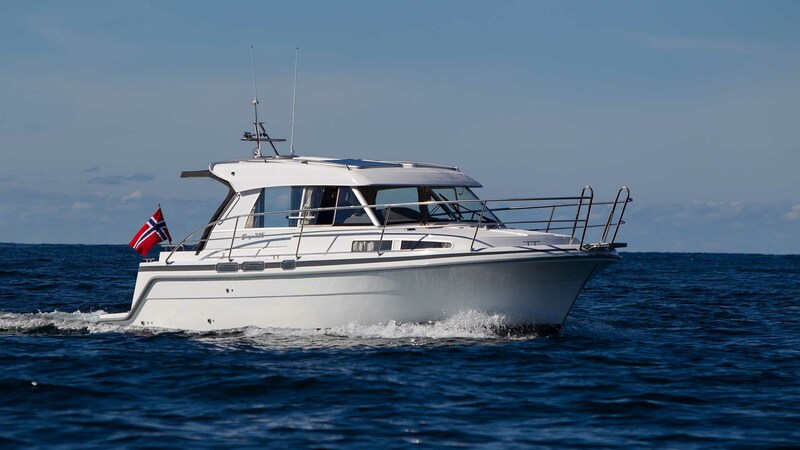 The 325 is the ultimate in all-weather cruising with it’s comfortable protected wheelhouse offering true year-round comfort. 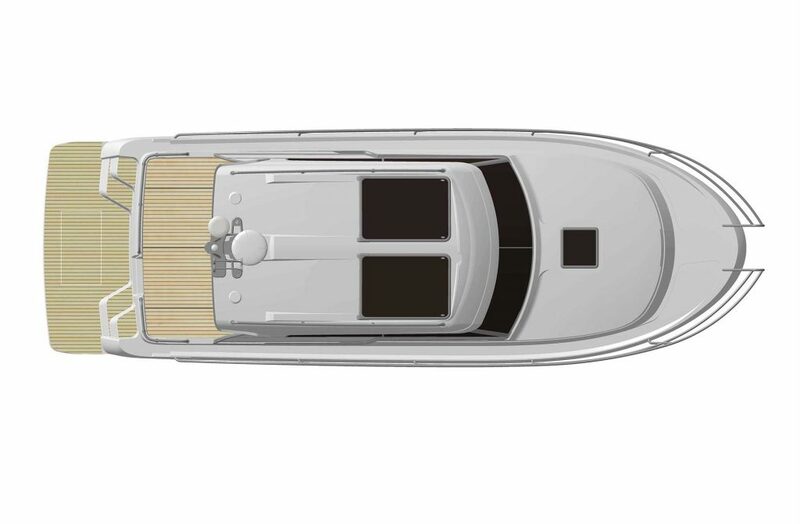 Based on the well proven 32ft hull, the 325 features a longer wheelhouse with the added comfort and security of aft sliding “patio” doors. 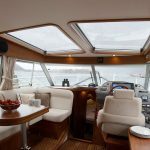 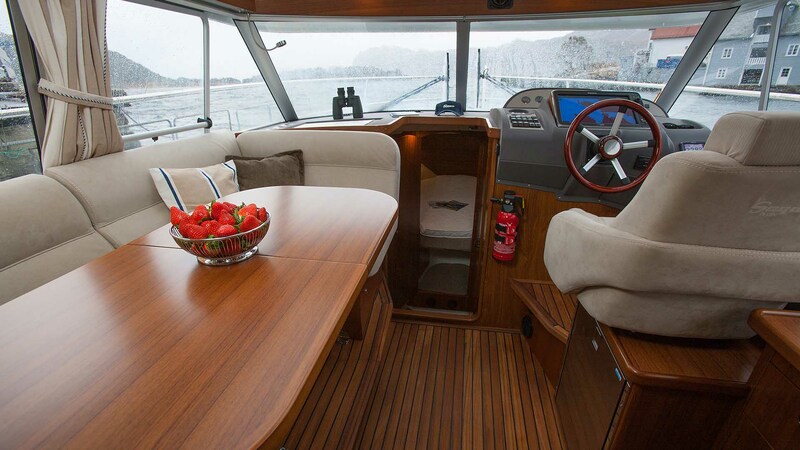 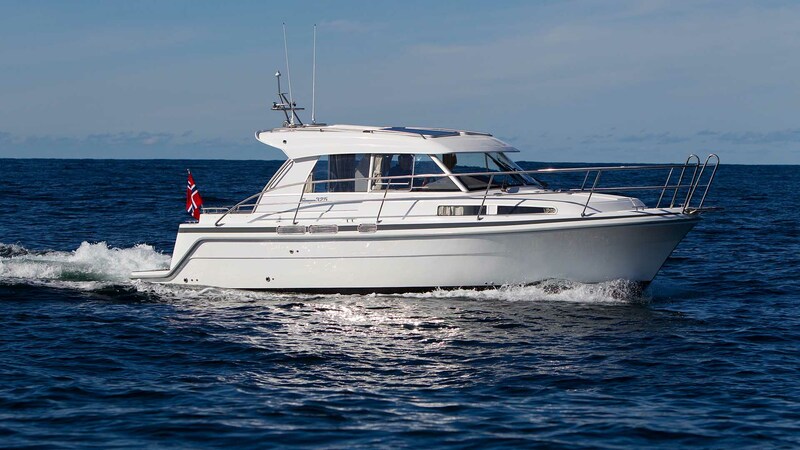 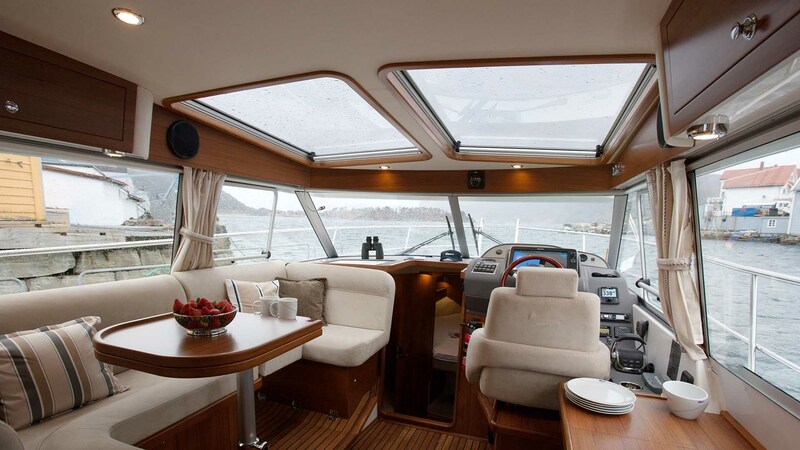 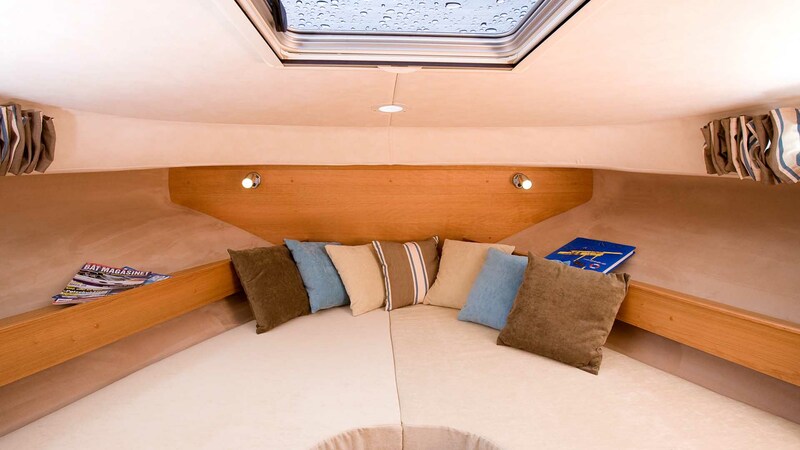 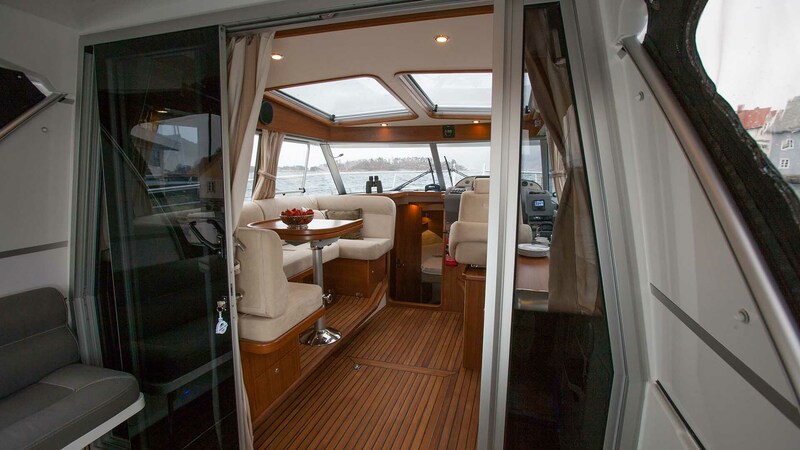 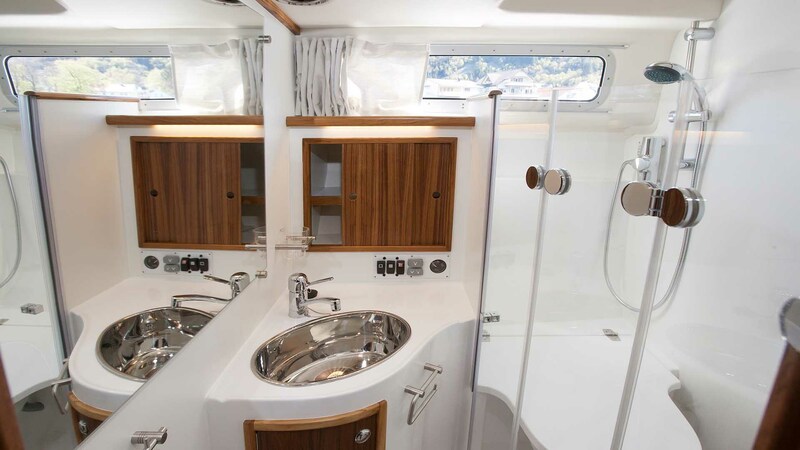 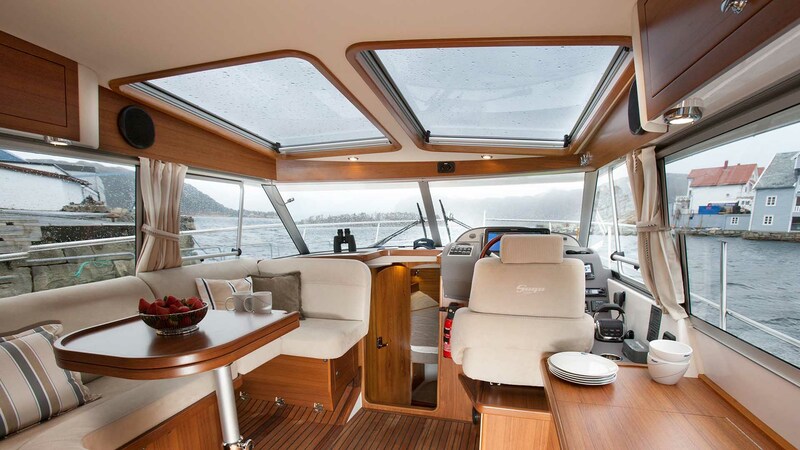 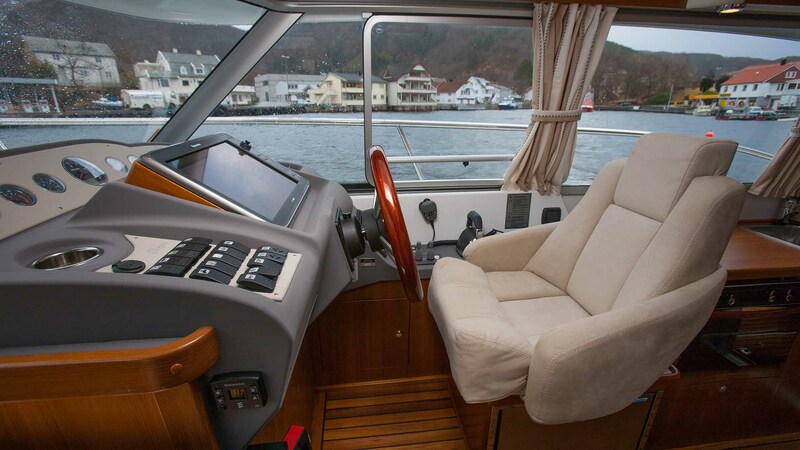 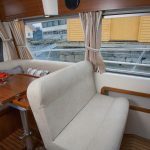 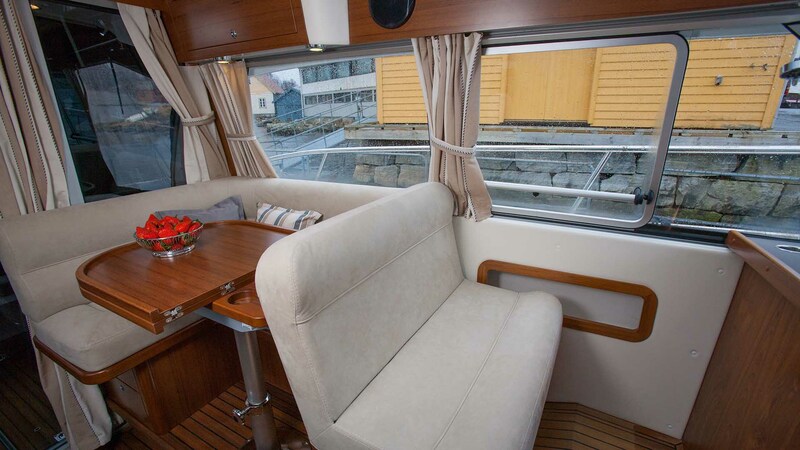 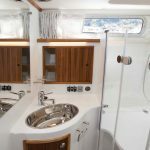 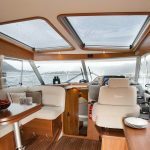 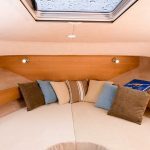 This enclosed format offers genuine comfort in all weathers with it’s warm saloon and galley area. 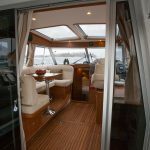 Optional aft deck seating can also be specified to continue the cockpit space outside. 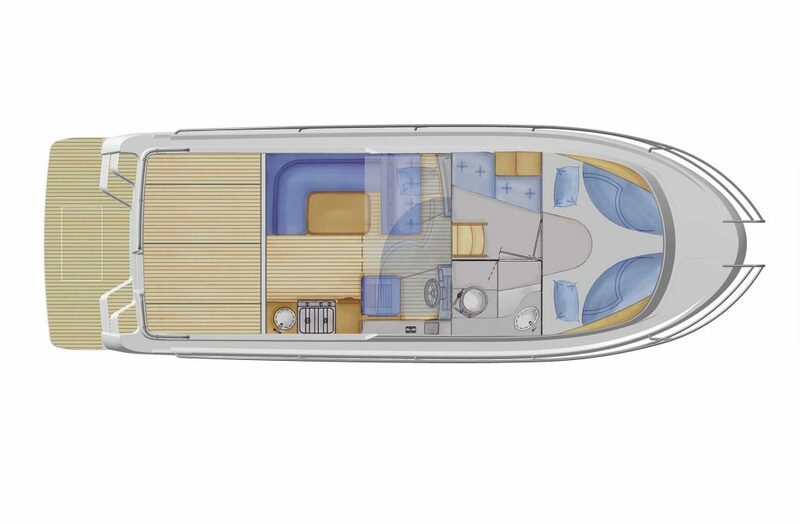 The accommodation below decks is the familiar twin double cabin layout and midships heads, as seen on Saga’s other 32ft models. 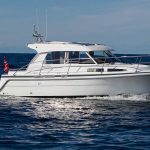 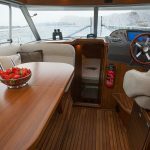 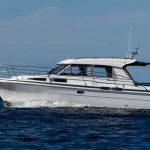 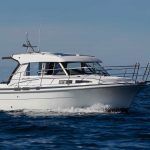 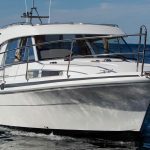 As with every Saga, the quality of build is outstanding, and there are bespoke options available to ensure each boat meets the owner’s requirements in every regard.